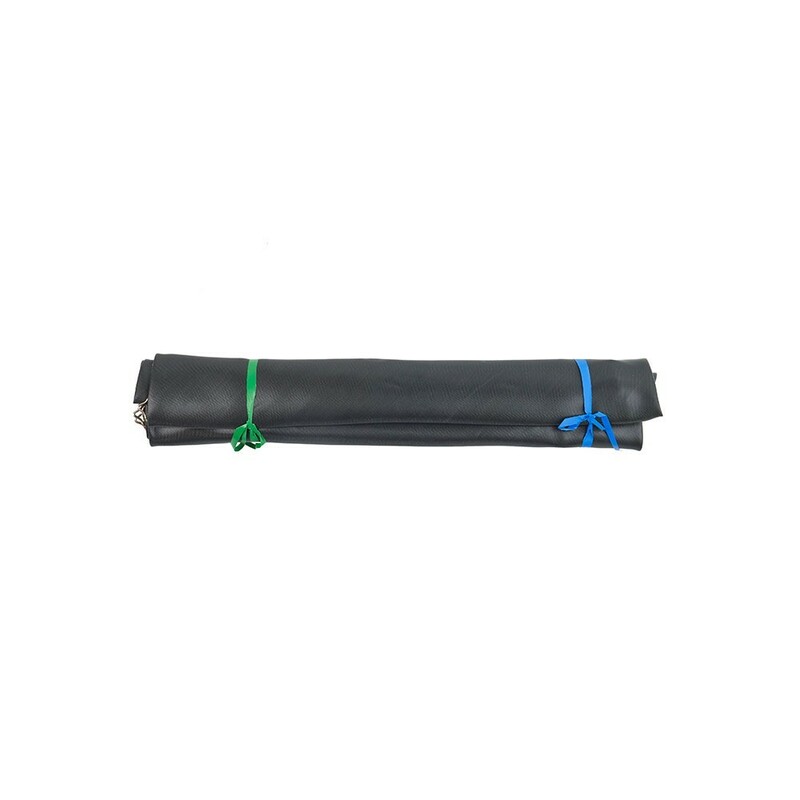 Jumping pad for round trampoline of 3.60 m with 80 springs of 210 mm. 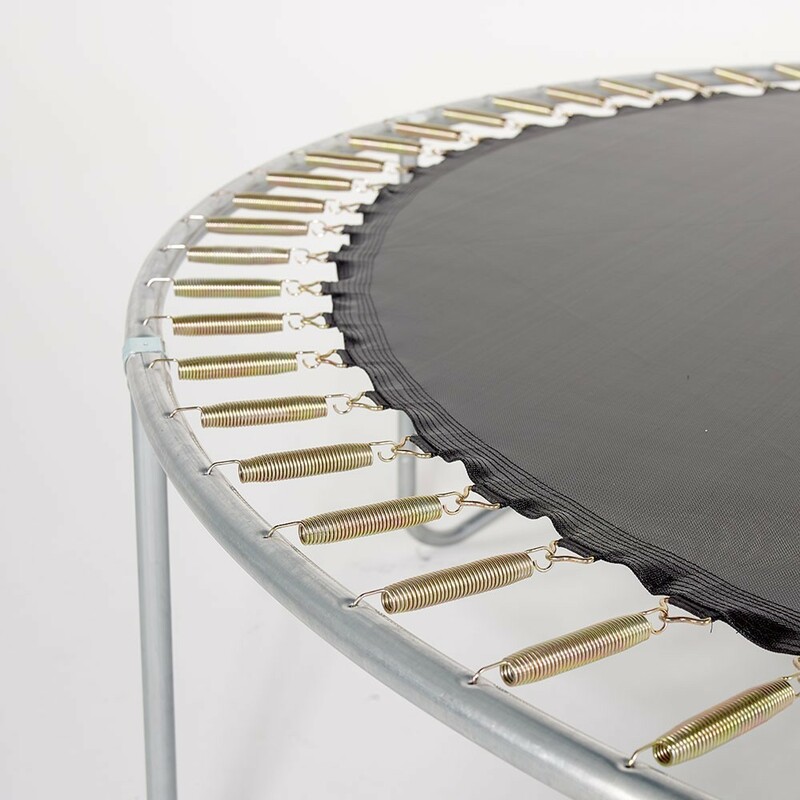 This jumping mat is adapted to round trampolines of 3.66 m with 80 springs of 210 mm in length. 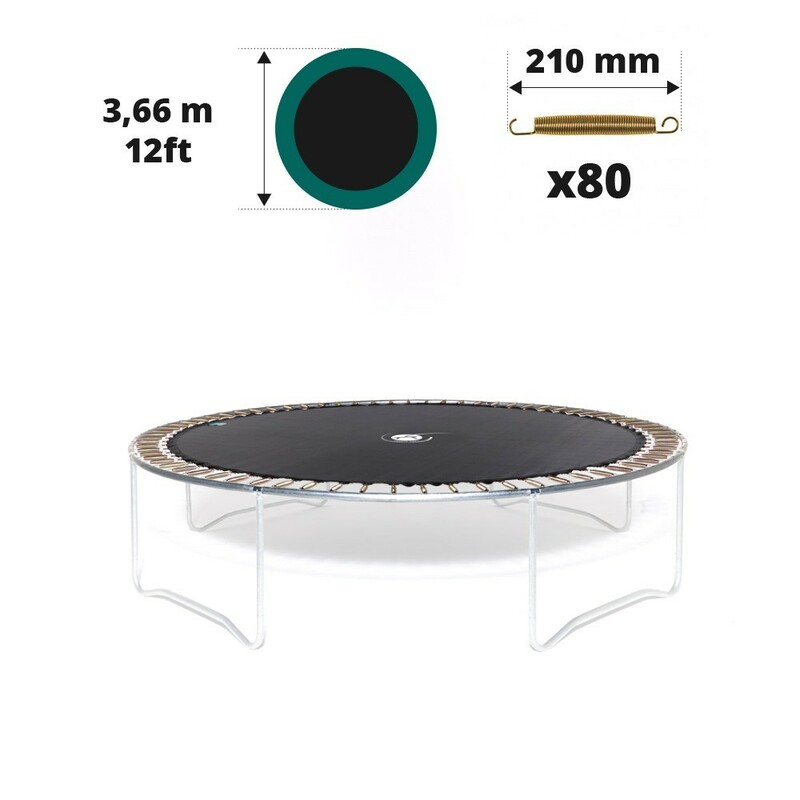 It is also compatible with any trampoline with these characteristics even if it comes from a company other then France Trampoline. 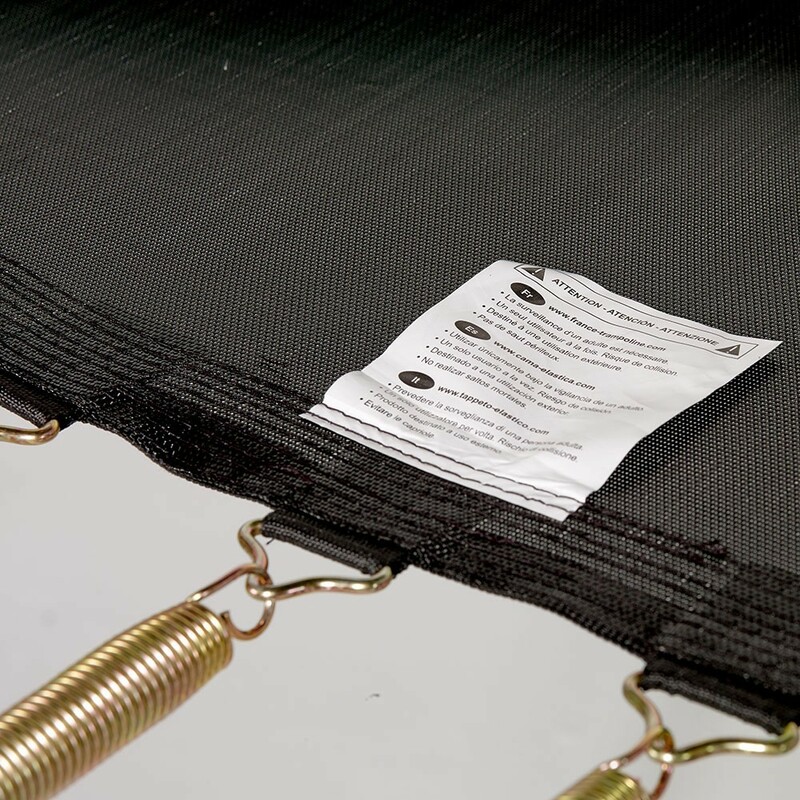 It will replace your old jumping pad and prove incredibly durable and solid. 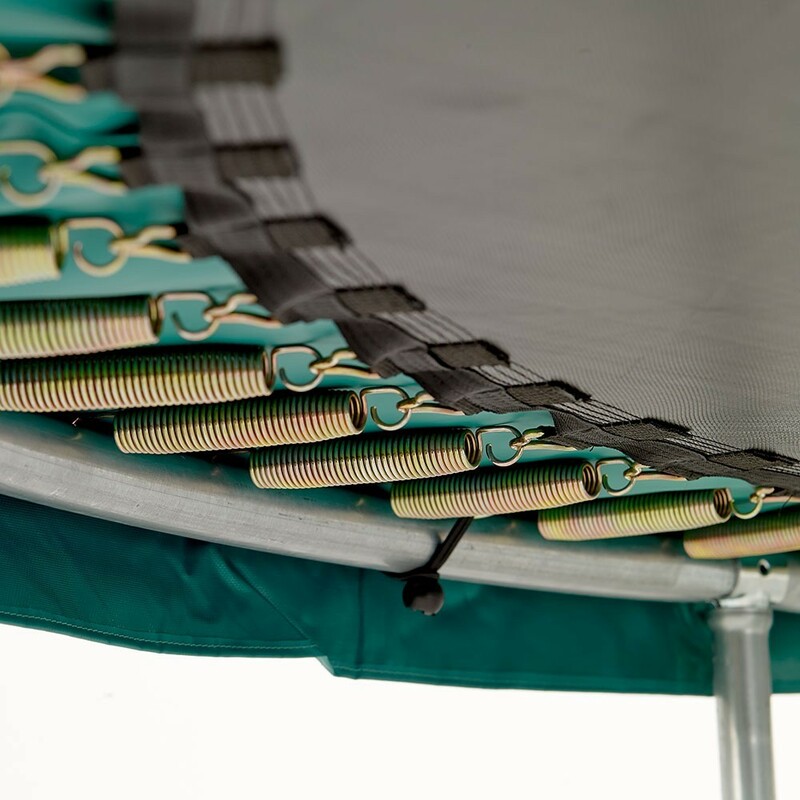 - This jumping mat is compatible with all round trampolines of 3.66 m in diameter with 80 springs of 210 mm in length. To check the exact measurements of your trampoline, ask someone else to help you measure the exterior diameter. - This product is made from black mesh, a solid and resistant fabric. 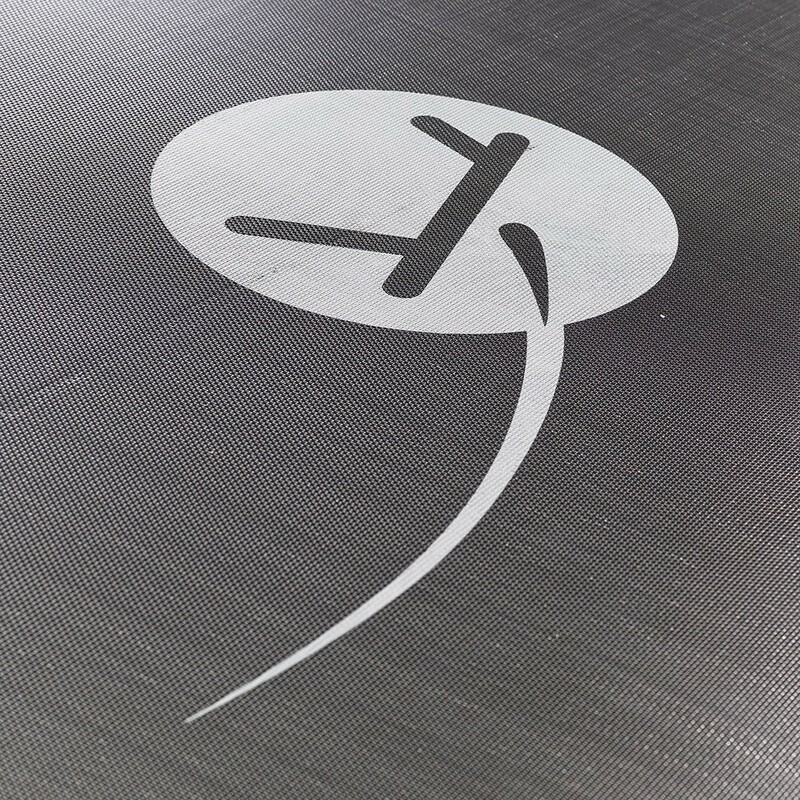 The jumping mat has been UV-protected and will therefore be sun-resistant. This will also improve the durability of your brand new jumping mat. - With 8 rows of stitches and a strengthening strip, this jumping mat will be incredibly strong. Triangular rings made of hot-dip galvanised steel are then fixed to this strap to ensure maximum solidity. They are highly rust-proof. 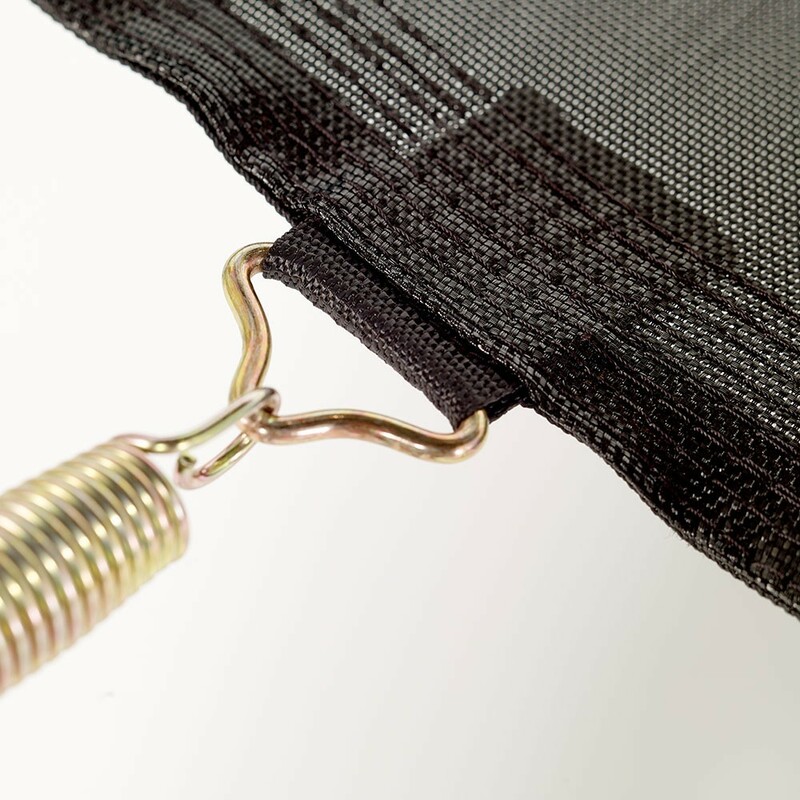 - Warning, this jumping mat is only adapted to trampolines with 80 springs of 210 mm in length. We therefore recommend checking the measurements before buying this jumping mat. In order to measure a spring, you must remove it from the frame and measure it from hook to hook, once it has regained its original shape. If you have any doubts, do not hesitate to contact our team for more information. 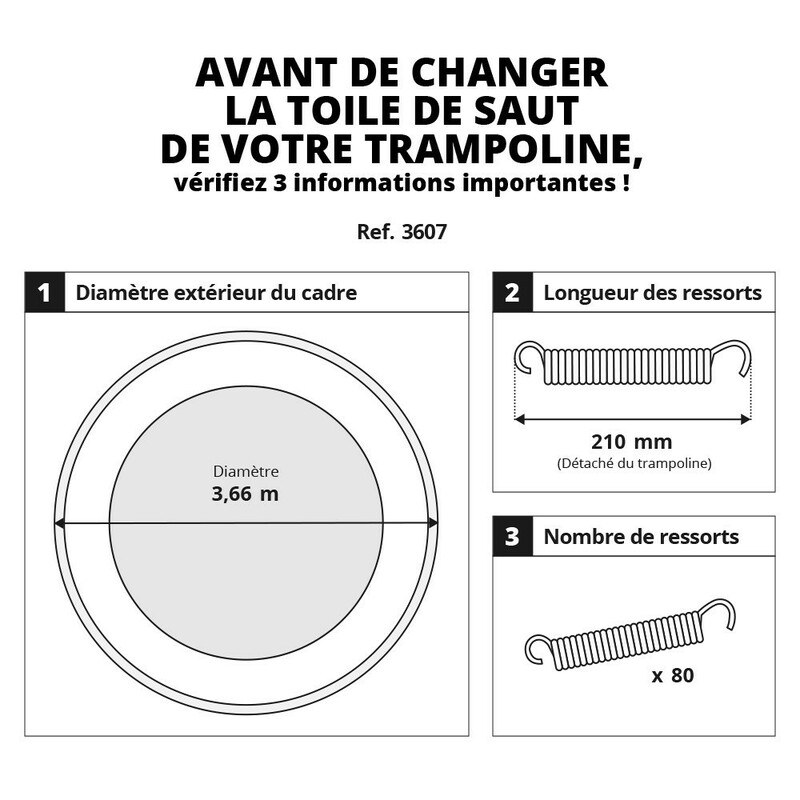 Pas la même marque que notre trampoline d'origine mais le tapis va parfaitement et super qualité. Toile parfaite, les coutures ont l'air bien solides, je suis très satisfaite !